New research has identified the ten dominant anti-Muslim narratives currently operating across Europe. Taking these into account the Counter Islamophobia Kit (CIK) project, which launches today at the European Parliament, seeks to provide the most effective counter messages. Islamophobia is rising across Europe. But, the most useful messages to counter this phenomenon are currently open to question. New research from the Counter Islamophobia Kit (CIK) project, which launches today at the European Parliament, seeks to provide answers. Europe needs to do better in the fight to challenge prevailing forms of Islamophobia. It needs to consistently deploy stronger, systematic and unequivocal messages which change the dominant narrative and build on the valuable work currently being done by many organisations and agencies across Europe and beyond. For the first time, the CIK project, led by researchers at the University of Leeds working with academic teams and the Islamic Human Rights Commission, provides a new, comprehensive and systematic categorisation of the ten most powerful counter-narratives currently deployed across Europe. The kitbag contains discursive tools and examples of arguments and interventions which can be drawn on to meet the challenge of messages of anti-Muslim hate. It provides a new and innovative resource, but there is still much work to be done to improve transmission and communication of these messages. Since January 2016, we have drawn on data from eight European Union member states (Belgium, Czech Republic, France, Germany, Greece, Hungary, Portugal and United Kingdom). The research comprises fieldwork with 272 politicians and policy-makers, NGOs and activists, as well as media, arts and academic professionals. It also incorporates textual data from political, policy, media and NGO discourse, and digital data from social media platforms. The project website provides up-to-the-minute reports on patterns of Islamophobia, Key National Messages for each of the states involved and the Toolkit itself. The project began by identifying the ten dominant Islamophobic narratives currently operating across Europe. These narratives were found to fix Muslims collectively as – in descending order of prevalence – a threat to security, unassimilable, a demographic threat, as posing the threat of ‘Islamisation’, a threat to local, national and European identity, responsible for women’s oppression, essentially different and violent, incomplete citizens and a risk to the majority, and as inherently homophobic. 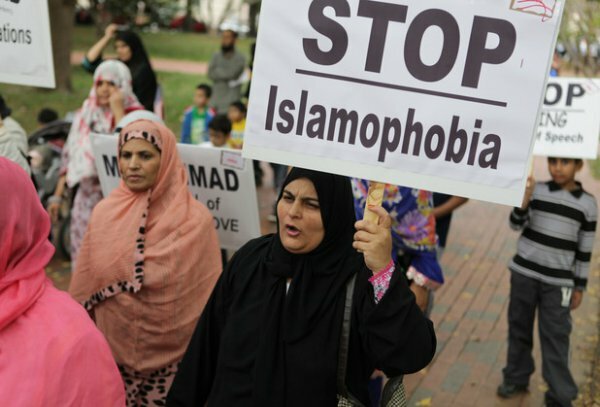 Overall, a worsening environment of Islamophobia was identified with respect to media content, political discourse and experiences of discrimination, indicating the new and increasingly acceptable hostility against Muslims in many spheres of everyday life. We then categorized and ranked the top-ten counter-narratives. These include, in descending order of prevalence, challenging constructions of Muslim ‘threat’, challenging exclusionary national projects, emphasising cultural compatibility and conviviality, and elaborating Muslim plurality. Other narratives seek to challenge narratives of sexism, seek to build inclusive futures and deracialise the state, argue for Muslim normalisation, humanity and the creation of Muslim space(s), and challenge distorted representations of Muslims in the media and elsewhere. The first counter-narrative seeks to definitively reject the sweeping associations of Islam and Muslims with violence and terrorism. The narrative that ‘Muslims are not dangerous for local society’ was made in many different ways across the national contexts – for example in the UK, through shedding light on Islamic belonging and on Muslims’ different ways of living their faith in ways that change over one’s lifetime. Many of the other forms of counter-narratives discussed involve responding to this dominant narrative of Muslim dangerousness. Here there is a key tension between counter-narratives that emphasise moral and ethical values, such as humanity, plurality and cultural compatibility, and those which emphasise state action and fundamental changes to law and policy. The former were more in evidence across Europe, but they can both be clearly linked where recognition of the ‘Muslim ummah’s humanity’ can lead to challenging the dehumanising institutional discursive construction of Muslims as dangerous, barbarian and violent. So while our research raises concerns about rising Islamophobia in Europe, it also offers promise that – with the right tools at our disposal – we can find an antidote to the spread of religious hatred and protect vulnerable minorities. Professor Ian Law is an Academic Fellow at the University of Leeds.